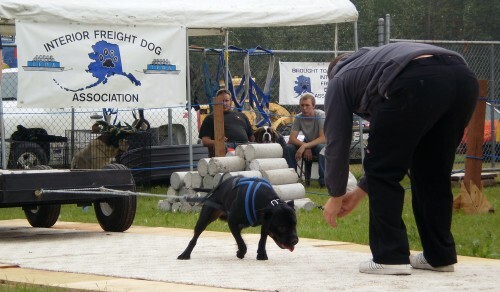 Weight pulling is a dog sport involving a dog pulling a cart or sled loaded with weight a short distance across dirt, gravel, grass, carpet, or snow. It is a modern adaptation of freighting, in which dogs were used as freight animals to move cargo. Julie Edwards organizes a Weight Pulling event in Alpine, this year taking place at 1oam on Saturday November 23m at 600 W Avenue E in Alpine. All dogs are welcome to participate. Proceeds from the $20 entrance fee go to Texas Alaskan Malamute Rescue.